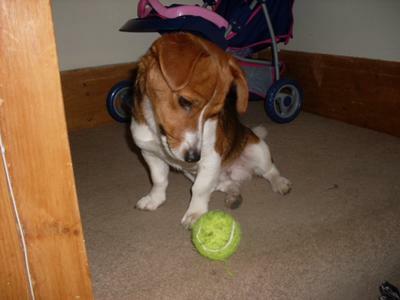 Alfie is a cheeky jack of 10 months, he loves to play fetch with his ball and will play for hours. He is full of energy and no amount of exercise will tire him out. He is true to the jack nature and temperament and is very intelligent. His best friend is Benji a 4yo Shih Tzu cross Yorkie.